Maddy Halpin, Brady Hicks, Ryann Kramer, Sarah Krebs, Hannah Tucker, and Rachael Twehues. Selection into the NHS as an officer is a great honor, and these students have truly earned it. 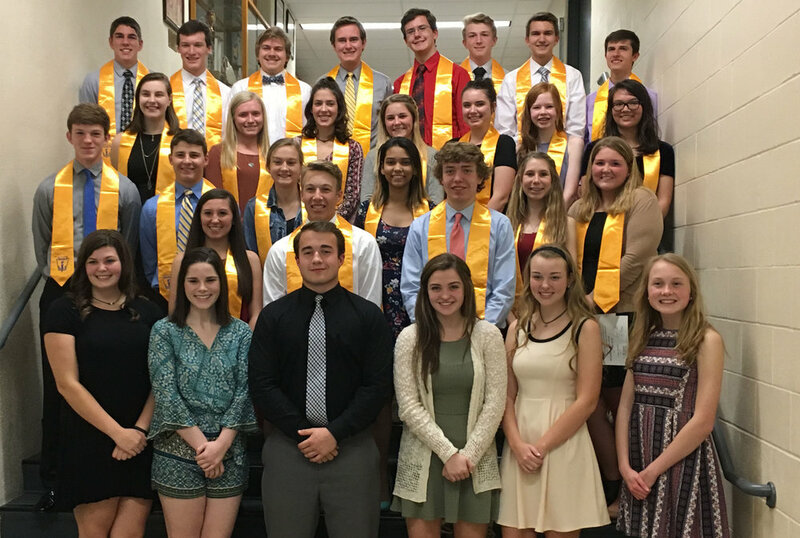 Membership is based on the four pillars of the National Honor Society: Character, Service, Leadership, and Scholarship. The faculty advisory committee reviewed applications and chose to induct these students because of their high level of achievement in each of the four categories. Congratulations to all new members and officers.